GDP growth rate for FY 2020 has been lowered to 7.2 per cent in benign inflation scenario. 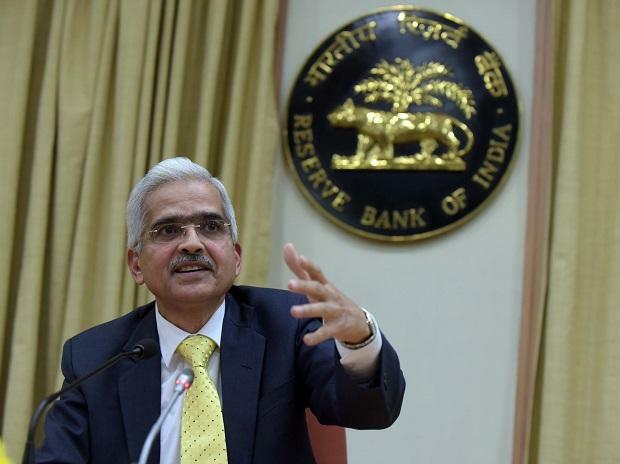 In line with expectations, the Reserve Bank of India (RBI) decided to lower the repo rate by a 25 basis points (bps) to 6 per cent in the first bi-monthly monetary policy meet of the financial year (FY) 2019-20. Consequently, the reverse repo rate under the Liquidity adjustment facility (LAF) was adjusted to 5.75 per cent, and the marginal standing facility (MSF) rate and the Bank Rate now stand at 6.25 per cent. The policy stance has been maintained neutral with 5:1 vote. Most D-Street experts welcomed the move and said going forward, the market trend will be influenced by the capital flows into the market. "As long as the US Fed and ECB remain dovish, more flows can be expected into the market, which can impart resilience to the market. However, high valuation of markets remain an area of concern," said VK Vijayakumar, Chief Investment Strategist at Geojit Financial Services. The monetary policy committee (MPC) lowered the GDP growth projections for 2019-20 to 7.2 per cent from 7.4 per cent, forecast in February policy meet, owing to weakening domestic investment activity as reflected in a slowdown in production and imports of capital goods. Besides, it noted that moderation of growth in the global economy might impact India’s exports, thus hurting growth prospects. The GDP growth has been projected in the range of 6.8-7.1 per cent in the first half of 2019-20 and 7.3-7.4 per cent in the second half, with risks, evenly balanced. Retail inflation, which was pegged at 2.8 per cent for the fourth quarter of 2018-19 in the last policy meet, has been revised downwards to 2.4 per cent. The MPC noted that CPI inflation excluding food and fuel in February was lower than expected, which has imparted some downward bias to headline inflation. Other factors that led to downward revision of the CPI inflation include international crude oil prices, which have increased by around 10 per cent since the last policy and further moderation of inflation expectations of households as well as input and output price expectations of producers, as per the RBI's poll surveys. For the first half of FY20, the inflation figure is projected at 2.9-3.0 per cent and 3.5-3.8 per cent for the second half of the fiscal. The MPC also noted several uncertainties to inflation outlook such as the probability of El Niño effects in 2019, risk of an abrupt reversal in vegetable prices, uncertainty in oil prices -- it can go either way and volatile financial markets reflecting global slowdown and trade uncertainty. The MPC noted that the output gap remains negative and the domestic economy is facing headwinds, mainly on the global front. Hence, there is a need to strengthen domestic growth impulses by spurring private investment which has remained sluggish. Given this, the central bank decided to reduce the policy repo rate by 25 basis points and maintain the neutral stance of monetary policy. Credit flows to micro and small as well as medium industries have remained tepid, though they have improved for large industries, the statement said. Capacity utilization (CU) in the manufacturing sector, however, as measured by the Reserve Bank’s order books, inventory and capacity utilization survey (OBICUS), improved to 75.9 per cent in Q3 from 74.8 per cent in Q2 exceeding its long-term average; the seasonally adjusted CU rose to 76.1 per cent from 75.4 per cent. The business assessment index of the industrial outlook survey (IOS) points to an improvement in overall sentiments in Q4. The MPC has lived up to the consensus by cutting rates by 25 bp while continuing with the neutral policy stance. A key takeaway from the policy is the projection of benign inflation for FY 2020 which has come lower than expectations between 2.9 to 3 percent for H1 and between 3.5 to 3.8 per cent for H2. This means that the headline inflation for FY 2020 is unlikely to go beyond 3.8 per cent anytime in FY2020. Since the GDP growth rate for FY 2020 has been lowered to 7.2 per cent in this benign inflation scenario, one can expect more rate hikes probably two more this CY. The stance has been maintained at neutral perhaps in the context of the rising crude price and concerns regarding a below normal monsoon, says VK Vijayakumar, Chief Investment Strategist at Geojit Financial Services. It's a much expected and welcome decision from the RBI. The Street was discounting the same and the industry and sectors were looking forward to it. Amid lower inflation and lower interest rate scenario globally; this move will certainly attract much liquidity for the economy. We are already seeing good numbers on FII fronts while this move will make sure the objective of growth is fulfilled, says Mustafa Nadeem, CEO, Epic Research.